The supposed differences between the Syrian rebels (which our government says are the “good guys”) and ISIS (the “bad guys”) are becoming so hard to differentiate these days, that apparently even our government’s most stalwart supporters of war can’t keep their lies straight when the cameras are rolling. I’ve written multiple articles (here, here, and here) on the fact that good ‘ol Uncle Sam in the form of the Obama Administration has sent hundreds of millions of dollars to ISIS, the terrorist enemy in Iraq and Syria that our government also helped train which is apparently gotten so bad now, the government just has to start airstriking Syria (in addition to the strikes already taking place in Iraq) to stop them. Appearing on Fox News, Greta Van Susteren asked Senator John McCain about stopping ISIS, and McCain replied his familiar mantra that we need more boots on the ground and the full weight of the American military-industrial complex in this situation (like he usually says about most conflict situations). 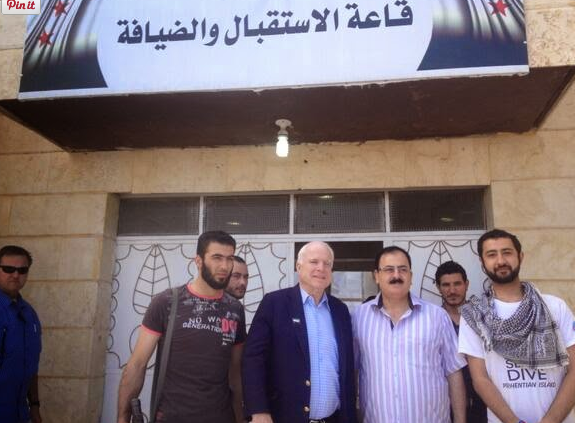 Surely McCain meant to say “the Syrian rebels” and not “ISIS,” right? Because our benevolent government, spreader of world democracy, would never knowingly fund and train horrible terrorist monsters the likes of ISIS to advance national objectives for empire building, would they? 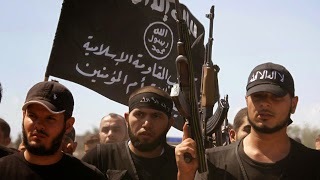 Surely the guys Senator McCain then went and met with after that White House meeting in a “surprise visit” in Syria in May 2013 were not ISIS, right? Surely that’s why those guys, who definitely aren’t related to ISIS in any way, then used the pictures of McCain’s visit as the star feature of a new ISIS recruiting campaign over there afterwards? Because even as we continued to fund the Syrian rebels hundreds of millions over the last two years, with another $500 million doled out as recently as June, everyone is supposed to believe they really aren’t the same ISIS members our government is now using as the prime excuse to bomb Syria … something the government really really really wanted to do last year but had to halt plans because so many Americans protested…? Can he identify the right people? His recent appearance on Fox with Greta says otherwise.